In a rapidly expanding automotive marketplace, businesses with legacy processes in place, without a clear digital transformation strategy will be left behind. Disruptive tech is radically altering the automotive sector. How will you keep up? And where to begin? This is done by improving efficiencies and raising productivity while relying on technology to do the heavy lifting. 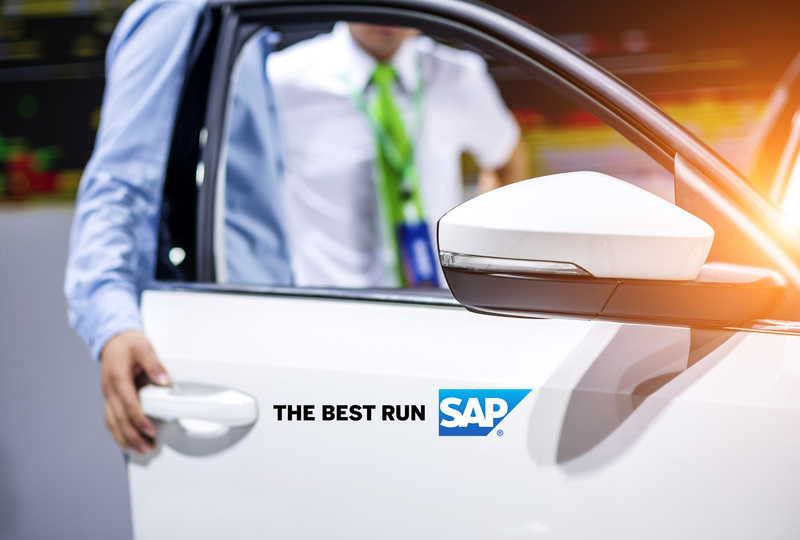 As an automotive business, you can lean on the power of SAP, the market leader in enterprise software, to navigate safely the complex journey towards digital transformation. In the digital economy, customer is king. Buyers expect instant responses, the ability to tailor their own shopping experiences and are much more likely to base purchasing decisions on your digital presence and consumer reviews than, say, television adverts. 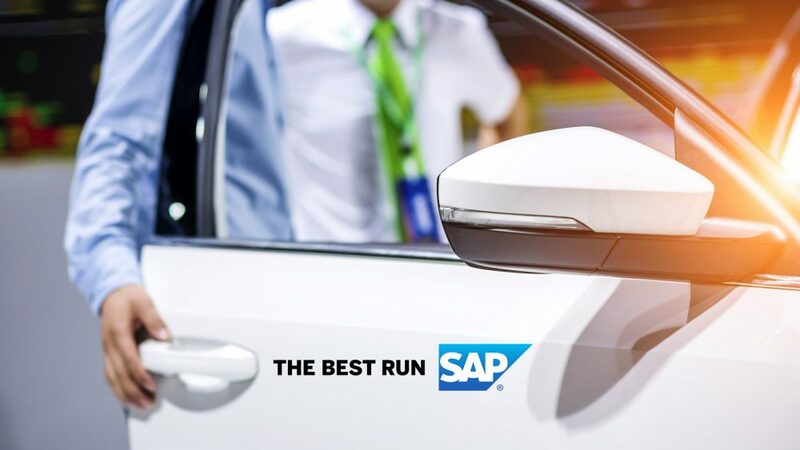 By investing in automotive software powered by SAP, you’ll be able to deliver a captivating customer experience by automating processes that were once manual and cumbersome for everyone involved. access to customer buying and service history will enable dealerships to create a personalised digital experience for return visits, utilising omnichannel digital campaigns with offers targeted per their buying preferences and key maintenance dates. SAP technology enables a unified 360o view of the customer, from a single application – something that simply hasn’t been possible until now. There are few businesses that don’t strive for constant improvement and growth. With an SAP-powered system driving each department within your business, you’ll have a platform that will scale with you. Every dealership business need can now be handled in the Cloud, under one roof and – perhaps most importantly – affordably. And because the Cloud scales effortlessly (the need for on-site server hardware is reduced considerably or eliminated), goals can be met progressively with a low overall total cost of ownership. Despite the raw power that lies within SAP software, the user-interfaces they’re capable of driving remain friendly and super-simple to on-board staff; therefore your business growth won’t be hampered by steep technical learning curves or cumbersome technology. Perhaps the most exciting thing that comes with adopting SAP enterprise-level technology is that it allows you to find new business models. This is largely down to technology that was once only available to enterprises with deep pockets, becoming democratised thanks to a lower cost of entry and more manageable, predictable on-going fees. For instance, you can join the car sharing revolution, today, by releasing the latent revenue-generating potential in your new or used car stock. Even more traditional dealerships elements can be reimagined thanks to digital, paperless service workshop processes and online presence management which puts the dealership experience entirely in the palm of the customers’ hands. SAP-driven sales and marketing automation, efficient resource planning, financial management and business intelligence can pave the path to becoming a best-run automotive business. It isn’t just about the goals that lie ahead, or the growth you want to achieve. Enterprise level applications that run SAP ensure that your business essentials will evolve as quickly as the technology that powers them. Is your automotive business ready to run SAP?